Paul Gauguin “Child” painting “Child” or “Child” painting by French artist Paul Gauguin wrote during his stay on the island of Tahiti in 1896. The picture marks the image of the birth of the Tahitian Christ. The color saturation and static character of this composition are characteristic of the works of Paul Gauguin of that time. His paintings of that period are full of exotic aroma and poetic structure of the Polynesian culture, into which he plunged, having married a young 13-year-old Tahitian woman. In the background you can see a woman in labor giving birth to a baby, a Tahitian woman holding a child, dressed in island clothes, and even a harbinger of a child’s birth – the angel has the appearance of an islander. 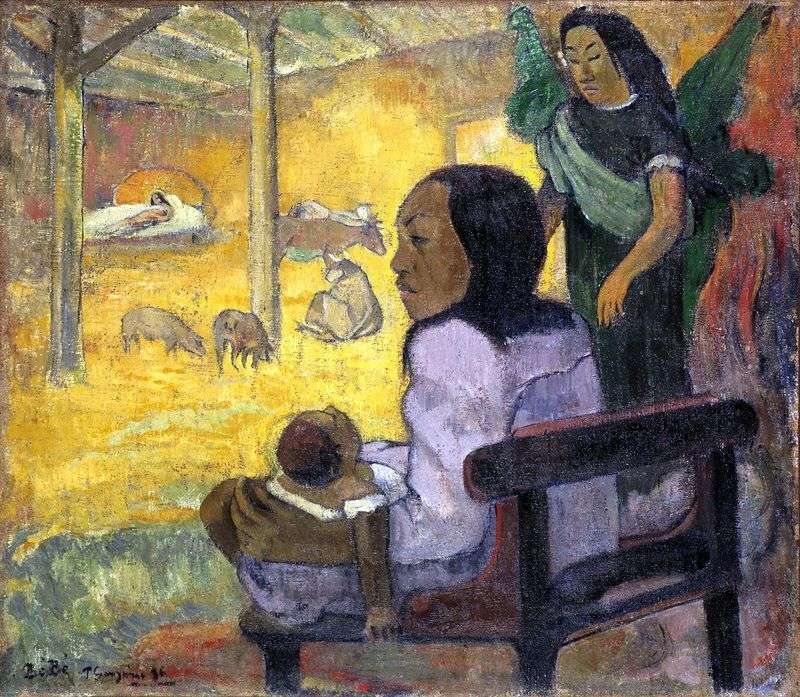 Description and meaning of the painting Child (Christmas) by Paul Gauguin.